At the end of the 4-semester Chinese course, students are expected to go beyond CEFR A2 and reach the Pre-Intermediate level, equipped with the necessary skills to easily comprehend written or verbal communications they might come across in everyday life situations or in business life. Students who successfully complete all of the levels will gain a significant advantage over their counterparts in their job search. 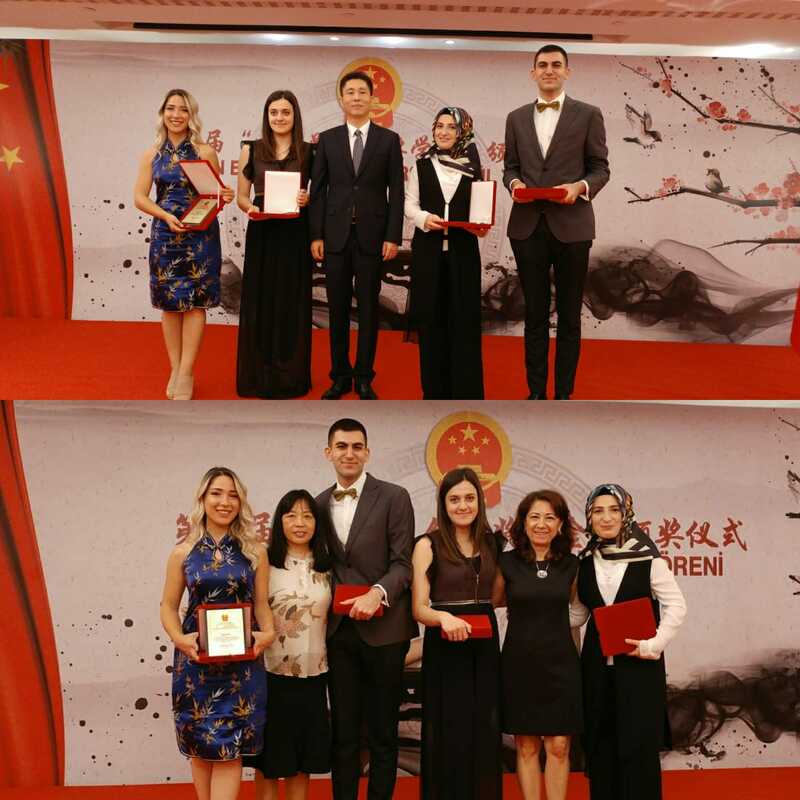 Ayşenur Yılmaz, Simge Güner, Betül Kuş and Ali Kaan, who are taking Chinese courses at the Modern Languages Program in ScOLa received their Scholarship certificates from the Chinese Consulate General Cun Wei during the ceremony held in Shangri-La Hotel in İstanbul on June 1st 2018. 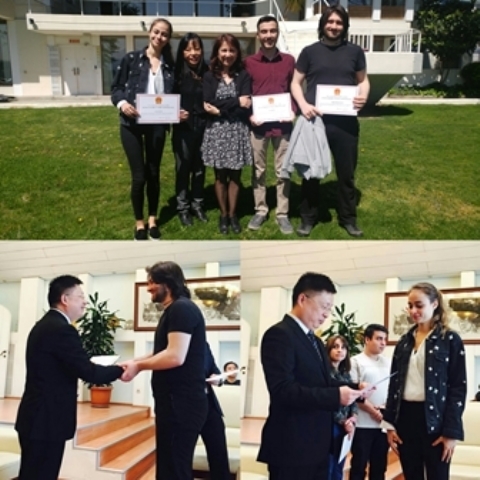 We congratulate our students and the Chinese instructor Chunlan Wang Lale Güner. 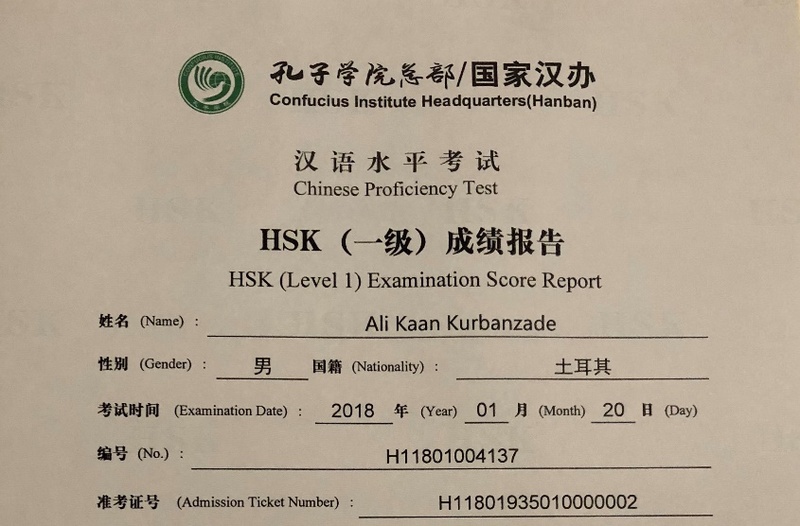 Ali Kaan Kurbanzade from Industrial Engineering got HSK 1 (CEFR A1) Certificate from the Confucius Institute. 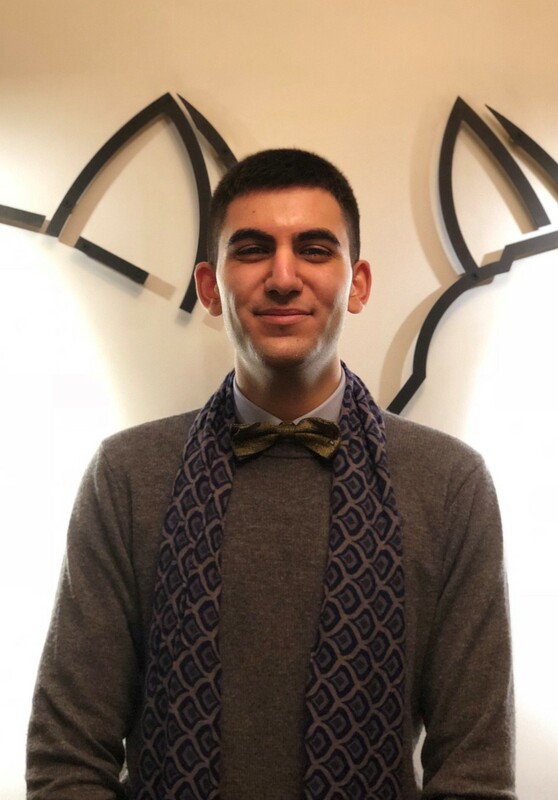 He also got the Chinese Consulate Scholarship and is entitled to a scholarship for a language course in Shangai University. We congratulate our student and the Chinese Instructor. Mert Bektaş, Ahmed Malik Özçınar and Güneş Yılmaz, who are taking Chinese courses at the Modern Languages Program in ScOLa received their Scholarship certificates from the Chinese Consulate General Qian Bo during the ceremony held in the PRC Consulate in İstanbul on April 27th 2017. In his speech during the ceremony, Qian Bo congratulated the students for their success and added that “Chinese Consulate Scholarship” would strengthen the collaboration of education and culture and thus accelerate Chinese language education in Turkey.